There must be something about January and cushions, last January I re-organised the cushions in the lounge, but this year I wanted a richer look……. so on Sunday Kristy and I went to Hobart Rose Factory shop and bought the chocolate, burgundy and turquoise sequined cushions. I’m really pleased with the result and can confirm that they are very comfy, I sat and enjoyed a magazine from cover to cover yesterday afternoon in the lap of luxury. This slightly drunken photo shows the new material I found today. I’m going to use it to cover a wrought iron screen that I’ve had for many years. 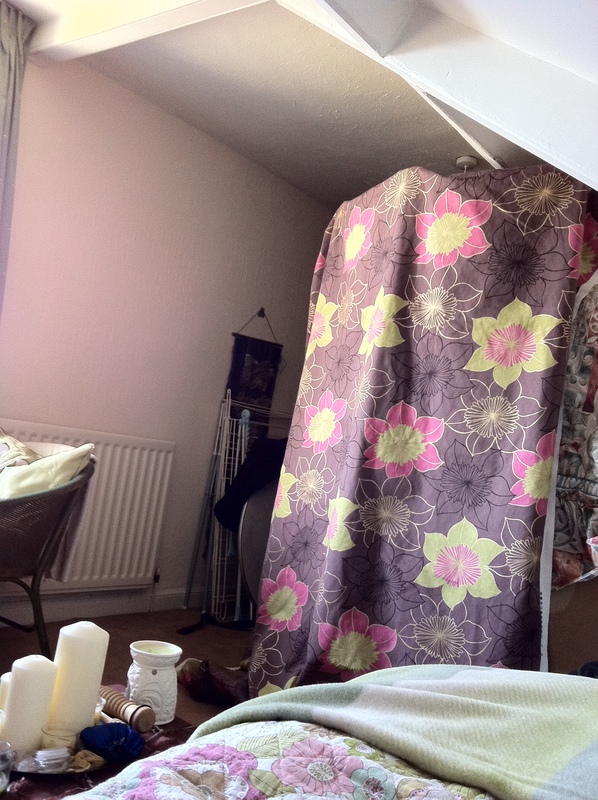 You can also catch a glimpse of the flowery bed cover newly purchased yesterday from Home Sense at the Metro Centre and the velvety soft fleecy throw that I found yesterday in Matalan. 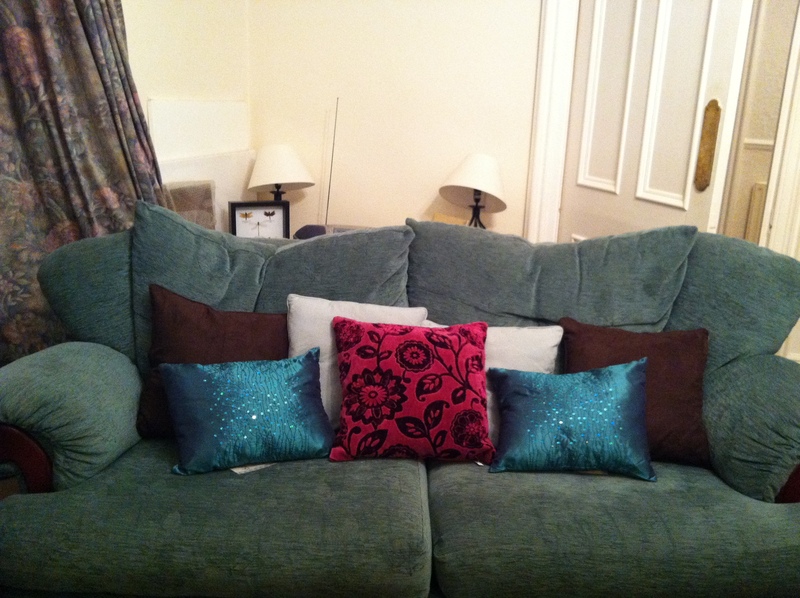 The spare room is looking quite fancy now with pretty cushions and matching accessories. 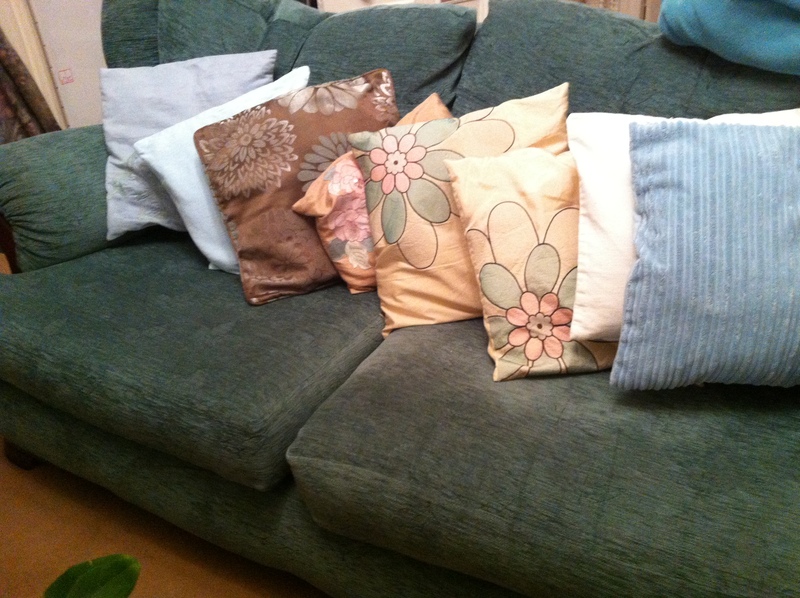 The blood rush continued and we now have a swishy new cushion arrangement, spot the new one in the centre of the sofa. I love the ruching and it feels wonderful. 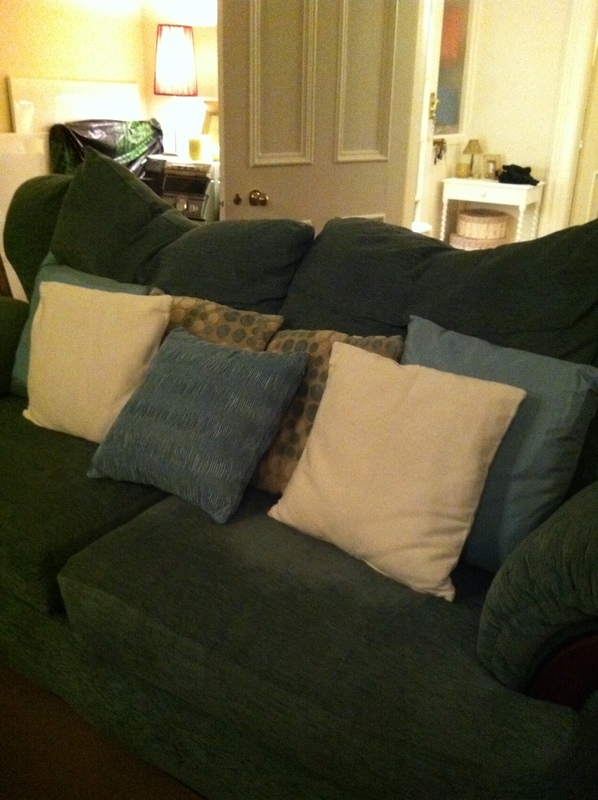 A rush of blood to the head and the result was a clean set of cushion covers in the lounge.